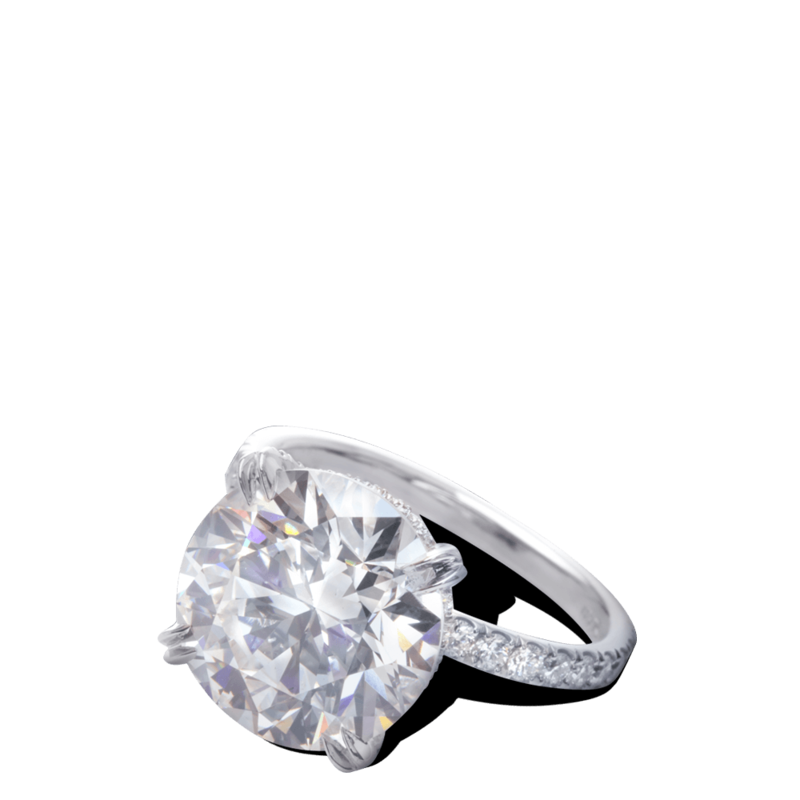 One of Steven Kirsch’s most iconic solitaires. Now offered in both diamond and moissanite center stone options. The center stone is showcased in our signature double claw prongs, and accompanied by a delicate row of pave on the platinum shank. 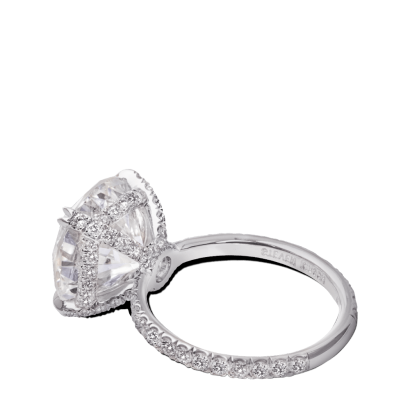 Two rows of diamonds on the basket finish this classic style. Designed for a 4ct or 10.4 mm round center stone. Can be made for any size center stone.